Learn how to become a motorcycle instructor with ex-military trainers on one of our comprehensive training programmes with outstanding post course support. RMT Motorcycle Training offers comprehensive training programmes for military personnel using Enhanced Learning Credits (ELC/ELCAS), you can also enquire about using the Career Transition Partnership (CTP/GLR) funding, from learning to ride to becoming a fully qualified Motorcycle Instructor. Our course programmes will ensure that you achieve your ambition and succeed in your goals. If you would like to be a motorcycle trainer why not try your hand at a new career? There are plenty of options open to you from becoming a part time instructor at weekends at a local training school right through to becoming a full time instructor when you leave the forces. This complete career change gives you outstanding job satisfaction, the enjoyment of outdoor work as well being your own boss, should you wish to open your own Approved Training Body (ATB). Typically, our Basic Instructor Training Courses used in conjunction with ELCAS are four weeks long and give you the best foundation training to pass the external two day assessment. The next step would be the three week DAS Instructor course. Depending on your work commitments, you can complete the course in two ways. You can choose to learn at our premises for the entire length of the course or sign up for our ‘Long Distance Learning Programme‘ which is a great way to study for a new career while on tour. With the ON-line Training Course, after you have completed all the theory modules, you will then spend some time with us to fulfill the practical modules of the course. Read more about the courses we offer below. We have ex-service instructors who conduct these courses to ensure that you receive the very best training at a standard that you are used to in your military life. It is difficult to re-train to become a motorcycle instructor on a short one week course, so choose your training provider wisely. The first week is to ensure you have all the necessary skills required to become a motorcycle instructor. As a Down-Trained Instructor you can conduct CBT courses and also train students to ride on the road on a motorcycle up to 125cc. During the course we will cover methods of instruction, lesson planning, teaching skills and various method deliveries. In the second week, we will provide you with the necessary information to be able to assess and teach trainee instructors. You must learn the important skills to be able to give feedback, proactive advice on lesson delivery and provide coaching to improve another instructor’s ability. The training programme we have put together will enable you to go to Cardington (DVSA training HQ in Bedfordshire) and pass the two day assessment. This will enable you to down-train other instructors and obtain the relevant qualification to open your own Approved Training Body (ATB). This part of the course is for practical hands-on experience with learner riders to consolidate the previous training you have done. You will allocated a fully qualified instructor for the two weeks who will guide you through the practical experience needed to teach learners. The knowledge gained whilst watching, helping and conducting lessons to real students is extremely valuable. You will be able to practice your classroom and off road practical lessons during this time. Additionally, you will see the benefit of fault finding and giving remedial action to new riders along with practicing the art of giving instruction via radio communication. This will stand you in good stead for the two day assessment at Cardington. We deliver a comprehensive Direct Access Scheme (DAS) Instructor Course, starting with a week of advanced rider training. This is to ensure that your riding skills are good enough for you to become a motorcycle instructor. It is a sorry fact that many instructors in the industry do not hold any personal advanced riding qualifications. You will spend a full week with one of our advanced rider trainers and undergo tuition to get you ready for an advanced motorcycle test. During this time, you will also gain the experience necessary to be issued with an Enhanced Rider Scheme (ERS) Certificate that can also lower your insurance premiums. 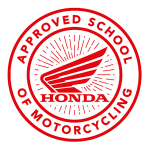 We believe that this is the first step for any prospective motorcycle trainer and will give you the foundation to train to a much higher standard than your competition. During this phase we concentrate on all aspects of lesson plans and delivery for learner riders on larger machines. Giving guidance and tuition on the difference between the smaller and larger motorcycle, basic riding faults when stepping up to a bigger bike and a comprehensive on-road training programme. You will be taught in depth fault analysis and ways of giving correct remedial action to learners on bigger motorbikes. During this week, you will have the opportunity to teach every lesson that is in the DAS syllabus, in readiness for the assessment. This course is the final step to becoming a fully qualified motorcycle instructor so that you are able to teach learner motorcyclists at all levels from complete novice to those wanting to ride larger motorcycles in preparation for them passing a practical motorcycle test. This module is to give you practical hands-on experience with learner riders on larger machines. You will be with a fully qualified DAS instructor for the week who will guide you through the practical experience needed to teach learners on bigger motorcycles. During this final week’s preparation, you will gain valuable hands-on experience whilst watching and helping real students. You will experience the added benefit of fault finding and giving remedial action to learner riders on bigger bikes and also the importance of good radio communication. This will ensure that you are fully ready for the DVSA assessment at Cardington. Throughout the week, you will be shown how to train students to both Module One and Two test standard as part of your preparation to conduct on-road training. This course is for you if you want to add category A to your licence. This will aid you in occupations such as becoming a courier, bike paramedic or motorcycle police officer. We offer an intensive course from CBT to full motorcycle licence, including Module 1 and Module 2 tests. The course duration depends on your experience and ability and typically lasts up to six days. Booking is easy, just enrol, turn up with your driving licence and a theory test pass certificate and we will do the rest. See learner training pages for an outline of the programme. The ERS and Advanced Rider Training courses have been carefully designed to take your riding skills to a higher level. The aim of the training is to issue an ERS certificate, to reach the RoSPA and IAM test standard and to take an Advanced Motorcycle Test. During the course you will undertake extensive rider training, covering the advanced riding system, machine control and handling, vehicle sympathy, throttle sense, counter steering, cornering along with the safe use of speed and executing an overtake. There are many more disciplines to cover during your training, all of these combined will help you to become a very proficient rider. For more information, please read through our advanced motorcycle training pages for more detail and course content. If you are serving overseas or do not have enough time to attend a full time course, then you can opt to do a long distance learning course. This will prepare you for the theory elements that you will need to have to become a motorcycle instructor. In your course pack, you will receive a full set of written lesson plans, an e-book, training literature and a set of Videos to help you prepare your own lessons ready to deliver to learner riders. Upon completing your lesson plans, we will ask you to email them to us for review and feedback. Regular support can also be available via Skype or other web based communication. When you have completed the theory course, we will ask you to book the final module which is the practical delivery of all the lessons required to conduct a Compulsory Basic Training course. When you have completed any training course with us, we will give continued long distance learning support and mentoring until you have completed the necessary modules to become a qualified motorcycle instructor. You will also have the opportunity to return at a later date to gain further experience and hands-on training with real learner riders instead of undergoing fictitious scenarios with somebody doing role play. Our after care and support network is second to none and we are the only company offering this unique service to forces personnel as part of your continued professional development. 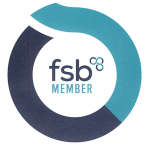 Fill in your details and take advantage of our Special Offers, Top 10 tips and many more Newsletter benefits. Which Top 10 Mailing List would you like to subscribe to? When you make a booking with RMT Motorcycle Training, you will receive a 7 part email series to help you prepare for your CBT course with us. We give you all the secrets to be able to pass first time along with FREE videos to watch to make riding on the road even easier. If you need any further advice or information on how to progress on any of the above courses, please call us today. WHY CHOOSE RMT TO DO YOUR TRAINING? RMT Motorcycle Training © 2019. Open your free VideoBiker membership & access motorcycle tips, advice & resources - join today!